Good Morning! I know it’s been a little over a week since my last post and I’ve tried to balance my online duties with real life ones and feeling overwhelmed as a result. Since I had a habit of going MIA on here, I didn’t want to fall back into those bad habits where I start feeling uninspired or frustrated and do a disappearing act. I knew I had to recalibrate before I could be useful so that’s exactly what I did! I’m in a better mental space now and wanted to share the three tips that gave me motivation and helped me push past the negative energy that attempted to hold me back. I love listening to music. It always puts me in a better mood and depending on the song, I feel like I can conquer the world. Songs like Beyoncé’s “Formation”, Drake’s “Nice For What” and Ciara’s “Level Up” are girl power anthems but they are also the songs I dance to when I am all alone using the mirror as my own personal audience (don’t judge me!) The songs don’t have to have empowering lyrics but if the beat goes hard and makes me feel good, that’s motivation in itself! Music has a huge effect on mood so I tend to stay away from the sad songs (in other words, no Adele or Keyshia Cole songs unless I’m purposely trying to put myself in a funk lol) and I think that it has had a great impact on getting me pumped and ready to start the day. Now I know that repeating phrases like “I am worthy”, “I am beautiful”, “I can do anything I put my mind to” sounds very corny and ineffective but I can honestly say that if you say something over and over, you really do start to believe it. I guess that’s why pathological liars can be so convincing! In this case, I feel like it’s best to “fake it until you make it”. In other words, say phrases like this until you actually start to believe them. You can google “Positive Affirmations” or come up with your own if there is something in particular that you want to have embedded in your psyche. There are days that I may not feel like I am doing my very best but a positive affirmation is a great pick me up and helps me feel optimistic about my future. This is the most important tip because negative energy can be transmitted from one person to another and when it spreads, it’s hard to get rid of. Think of it as an annoying cold that won’t go away but instead of it being damaging to your physical well-being, it’s damaging your mental and emotional well-being. I’ve mentioned in multiple posts that being in a toxic relationship had a harmful effect on my self-esteem but the relationships that can be the most toxic aren’t always with the person you are dating. If you have toxic friends, family, coworkers, do you best to limit your interactions with them and if you can cut them out of your life, get to snipping! Once you are free from their negative energy, your spirit will feel so much lighter and focus on what you need to do to get to where you want to be. These tips are the ones that have had the biggest influence on my motivation but there are plenty more that I’ll address in future posts. 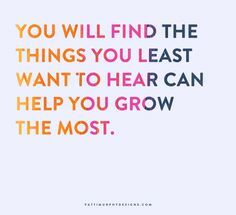 I would love to read yours as well so let me know what motivates you in the comments section below. The “Amore Luxe Media” Summer Promo Specials are still happening so you have until September 21st (the first day of Autumn) to take advantage of them! Specials include a free blog/website/social media page consultation, 25% off writing services and 15% off a basic marketing plan. Email me at angelacherai@gmail.com for more info. Make sure you come back on Thursday for my next post but until then, remember to love and live luxuriously! Good Morning! I know I said that I was going to discuss my healthy eating habits and I promise that I will get back to that…once I start eating healthy consistently that is! I’m all over the place with my good days and bad days but I am aiming for progress not perfection so once I start making some serious progress, I will be sure to share my tips and all of that. For now, I wanted to focus on something that has worked for me and that is the one thing that helped me when I was suffering from writer’s block and in need of inspiration: an idea book. As I previously mentioned, I have been going to therapy for the past several months to cope with my anxiety, stress and mild depression. During one of our sessions, I told my therapist that I have felt uninspired and as a result, couldn’t think of anything to write about on here. She suggested that I purchase an idea book and write whatever comes to my mind in whatever form I wanted. Since the book was mainly to help me brainstorm, it didn’t have to be organized and structured like a planner and I didn’t have to have any particular goal in mind while writing. I can honestly say that having no restrictions when writing was such a freeing experience. I could write whatever I wanted, how I wanted and there was no wrong way to go about it. The ideas flowed easily after that. I wrote my ideas into random lists like “Amore Luxe Media Goals” and “Ideal Jobs/Careers” as well as a list of blog/video ideas based off of the ideas from the other lists. I realized I was lying when I said I didn’t have anything to write about because it was clear in those few pages that I actually did. Now I’m not saying that I have it all figured out but my idea book is a step in the right direction! Remember that the only rule is that there are no rules so don’t feel confined to write your ideas and thoughts in a certain way. You don’t even have to call it an idea book if your book has other things in it like pictures or song lyrics that you’re working on. The point of the book is to spark your creativity and do it in a way that’s unique to you and your thought process. I bought my book for $5 bucks from a Macy’s outlet store but you can go to your local book store, Amazon.com or a specialty store where you can get a leather-bound book or an engraving if you’re fancy like that! I consider my book and the contents in it to be an extension of my personality and plan on using the ideas in it to create a new vision board. The possibilities are endless and I am so thankful to my therapist for helping me rediscover my passion and purpose through this book. Do you have an idea book or something similar? Let me know what you use it for and how it’s helped you in the comments section below. Have a great weekend and make sure you always love and live luxuriously! Good Morning! After a great weekend of hanging out with friends, I am ready to get back to blogging. As a certified book junkie, I wanted to start sharing my opinions on books that have resonated with me. I read a lot of romance/mystery/drama books but books that are funny, relatable and give valuable lessons and insights are few and far in between. That’s why I was so excited to read I am Judging You: The Do-Better Manual by blogger/digital strategist Luvvie Ajayi. 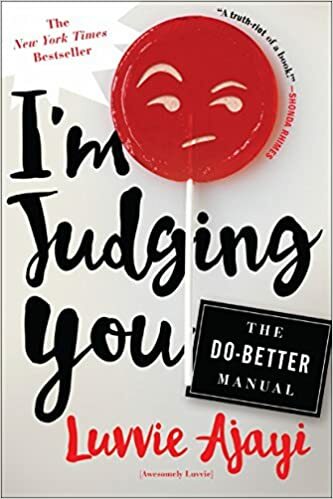 I don’t do ratings or anything like that but I’m Judging You is the equivalent of jollof rice for the soul (I’ve never had it but Luvvie is OBSESSED with it and I know my Ghanaian/Nigerian friends and readers would agree!) and its a recommended read for anyone who is in need of straight talk laced with laughter and encouragement. Now all I’m waiting for is for Luvvie to write her next book “I’m Doing Better, Now What?” and I’ll be all set! If you’ve read I’m Judging You, let me know what you think in the comments section below and if you have any other books you would recommend to me, share those as well! Until the next time I post again, always remember to love and live luxuriously! Good Morning Lovelies! Back in 2016, I planned on doing a #FearlessFriday post every Friday where I would share something that I was fearful of or that held me back from reaching my full potential. It could be something as extreme as conquering my fear of riding on airplanes without having a mini panic attack before takeoff or something as minor as going outside of my comfort zone and trying something new like online dating for example (check out my previous post to read more about that!). Today I wanted to discuss something that has held me back from being the best version of myself because of my own personal insecurities. The thing is, I do not take criticism well AT ALL. Like its to the point where I become defensive or embarrassed and lose the motivation and passion to do what I initially set out to do. At first, I didn’t understand why I was this way towards people who were just trying to help me out. As I thought about it and went deeper into my past, I realized that criticism for me was a way of pointing out my flaws and failures which in turn meant that I wasn’t worthy of whatever it is that I desired. It all goes back to having low self-esteem as a child and teenager and although I have grown and changed drastically since then, some of the doubts and triggers linger from those times that create doubt and wariness as an adult. Back then when I was picked on, I took it personally not realizing that kids prey on weakness and can sense it from a mile away. My insecurities were a weakness that held me back from speaking my mind and embracing everything that makes me, me quirks and all. Even though I learned that self-confidence is essential to do well in life and to gain respect from others, constructive criticism still felt like a punch in the gut and instead of using critiques like “You need to post more content that will appeal to a wider demographic.” or “Your inconsistencies with your blog come across as laziness and you need to do better” as motivation and encouragement, I looked at it from a pessimistic point of view as me not being good enough. These critiques and suggestions that came from my friends were only meant to help but instead I turned it into a ‘woe is me’ party and didn’t heed their advice. Needless to say when the light bulb finally went on in my head, a lot of time had been wasted that could have been used to create content and achieve my goals. When you know better, you do better and now that I get it, I’m going full speed ahead! Now let me be clear, constructive criticism is totally different from being negative, petty or just a certified hater. If someone you know is being critical just because of their personal preferences, do not offer any solutions to the issue that they are being critical about or are coming from a place of negativity, anger or resentment, that is NOT constructive criticism but is destructive and toxic. Limit or avoid these kinds of people because they will only bring you down in the end. Constructive criticism should be helpful and beneficial to your life and if the critique doesn’t offer a solution or valid reason for your problem or concern, you might want to take a second look at the person that is offering their unwanted opinion. I will be posting a book review from one of my favorite bloggers/motivational speakers on Monday so stay tuned for that! Have a great weekend and remember to love and live luxuriously!